Bord na Móna Growise John Innes Seed compost is not suitable for ericaceous plants such as Rhododendrons, Azaleas and Camellias. For this group of plants you should use Bord na Móna Growise John Innes Ericaceous or Bord na Móna Growise Ericaceous Compost. Bord na Móna Growise John Innes Seed compost contains all the nutrients your plants need for the first 2-3 weeks in their new setting. From then on, transplant seedlings to another media, or feed every 7–14 days. All of our Bord na Móna compost contains a mixture of peat and alternative sustainable ingredients. 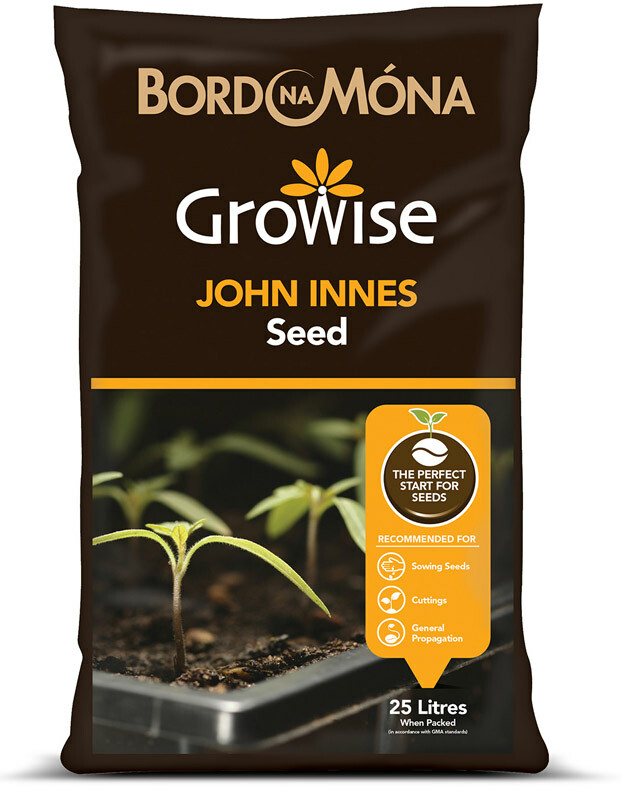 Bord na Móna Growise John Innes Seed compost, a traditional blend of peat, loam and sand, encourages high germination rates for many seed varieties, and is the perfect media for rooting soft cuttings. It contains nutrients to sustain early plant development. Bord na Móna Growise John Innes Seed compost also retains moisture well during dry periods which reduces time spent and frequency of watering. For best results during the next stage of plant growth (young plants), use Bord na Móna Growise John Innes No.1. Different seeds have different requirements, so always follow the instructions on the packet. Fill a clean seed tray or pot with Bord na Móna Growise John Innes Seed compost and firm it gently. Sow the seeds according to the instructions on the pack. Water the compost using a watering can with a fine rose. 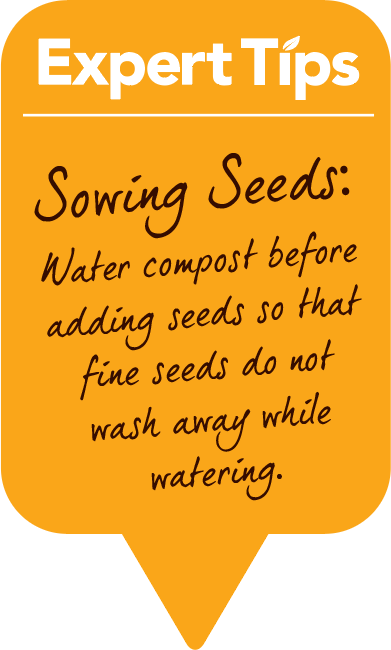 For special seeds use Bord na Móna Growise Seed & Cutting Compost. Make a clean, angled cut below a leaf and then remove the lower leaves from the cutting. Dip the cut end in a rooting powder. Fill a pot with Bord na Móna Growise John Innes Seed compost, make a hole in it and insert the cutting. Carefully firm the compost around the cutting with your fingertips. Water gently, using a watering can with a fine rose. Cover the cutting and pot with a clear plastic bag to retain moisture and keep out of direct sunlight. Only water when the compost looks dry or if the cutting starts to wilt. For special cuttings use Bord na Móna Growise Seed & Cutting Compost.